Hi all This is my first post here, I am glad to have found your forum! I would be very happy if somebody could please shed some light on this issue for me. I have done a lot of googling, but cannot find any info on these passionfruit. 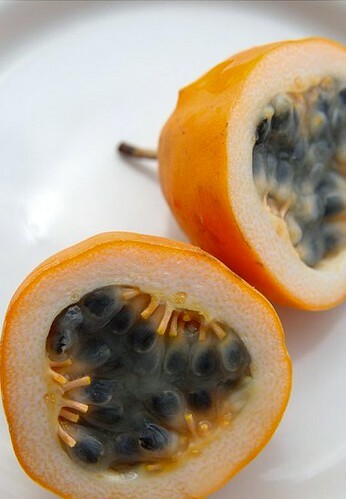 The flesh is white with black seeds, and these passion fruits are extremely sweet. There is no hint of sourness in them either. I bought two vines from my local nursery and they have been growing well on a trellis I made. I live in Hawaii, where these grow in the wild and fruit, so I don't think climate is a problem. My problem is, they will not produce even one fruit. I have been having quite a few flowers, but they just fall off after a few days. I noticed that if I tap an unopened flower bud, ants come running out everywhere.. Every unopened bud has ants in it. Not sure if they are damaging them, or if they are non-harmful. Also, I did try self pollinating them by touching one flower and getting pollen on my finger and then rubbing that on another flower. I can't tell if one is male or female, they all look the same to me. I'd be very grateful for any advice you could give me. some passionfruit are self-sterile...can you find out if your vines are from seed (where they would successfully pollinate each other), or clones propagated vegetatively from a single parent (where they might not be able to, being genetically identical)? !potatoes! wrote: some passionfruit are self-sterile...can you find out if your vines are from seed (where they would successfully pollinate each other), or clones propagated vegetatively from a single parent (where they might not be able to, being genetically identical)? Oh that's a very good point. I did buy them both at the same time from the same store. They were both grown the same way I'm sure but I have no way of finding out whether they were seeds or not. One of them does look like it was grafted though. I'm not certain of this, and I'll take a picture today and post here so maybe you could tell? l have the same problem with my lilikoi, which looks exactly like yours and was grown from seed. No ants . It is 6 years old . Suggestions anyone? 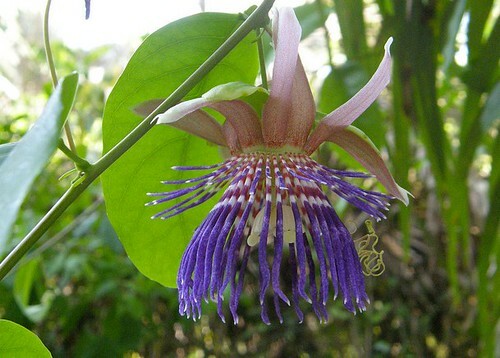 I have never grown passionfruit but I know that many other fruits require at least two different cultivars to produce fruit, maybe you should try getting a different kind of passionflower and planting it with your lilikoi to provide pollination. Hi, sorry about bringing up this old post, but I just wanted to share an update. STILL no fruit. Lots of flowers but not one fruit. So are you saying I should get a different species of passionfruit and plant it in my yard? Would it be possible to try that theory by picking some passionfruit flowers from another place (different kinf og passionfruit) and trying to self pollinate them? Hi - l have the same plant and finally , after 5 years, it bore fruit. l didn't do anything but wait. unfortunately they taste soapy, not like the original fruit l got the seeds from. l was told it might be the soil ? Aloha, these Lilikoi take years, after 5 years I got one huge fruit. They take cross pollination and I have several varieties here on an 1/2 acre. Now they fruit copiously for about three years. They have climbed all the way up the 30-40 feet Ohia Trees. 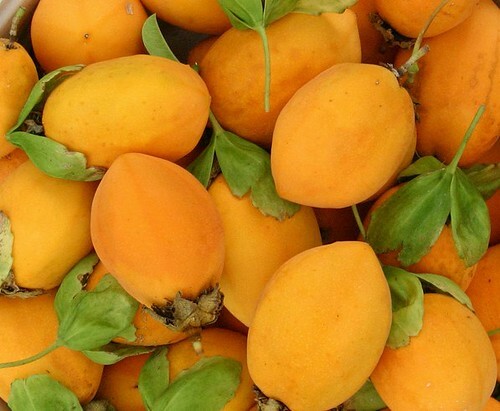 They are perfumy, very sweet and delicious. Plant more...they will produce! Ok. I know this post is really old, but I know the answer. I've grown a lot of Jamaican lilikoi and I've experimented a lot with it. It's best to grow it up a tree, not your standard trellis or fence. I've actually grown a single plant before and split half of it on a trellis and the other half in an avocado tree. The half that grew in the tree was the half that produced leaving the half on the trellis completly unproductive. I've repeated this experiment a handful of times and the results have been the same every time. My conclusion is that the best way to make a Jamaican lilikoi produce is to grow it up a tree or large shrub. Thanks for sharing that, makahagrown! Aloha Webmaster! I'm glad I discovered this forum! I could not find anything particular for the Jamaican passionfruit but my guess is if it flowers and the flowers fall off after a few days, it is not getting pollinated well. Usually carpenter bees are the pollinators more so than honey bees. Hand pollination might help. Thereusually are ants on the vines, but the ants do not cause flowers to drop.